This program is 100% free for everyone! We're not pulling any punches. We're going to say it like it is. 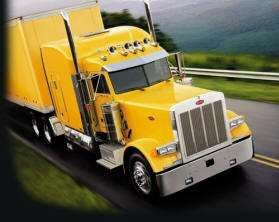 This is the highest quality, most comprehensive online CDL training program ever created. As if that wasn't awesome enough, it also happens to be unconditionally free for everyone to use. Our program has a ton of incredible features, and it's really user friendly. So grab a cup of coffee and strap yourself in because you're going to be blown away when you see what we have in store for you! Our CDL training program has the entire CDL manual built right in. 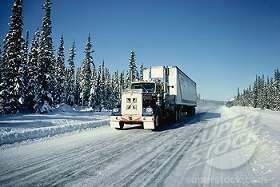 That alone will prepare you for all of the required written exams including the CDL learner's permit and all of the endorsement exams. Now that's pretty fantastic in itself, but as experienced drivers, we knew that wasn't nearly enough. No way. Because passing the CDL exam isn't the real test. The real test begins when you're sitting behind the wheel of an 80,000 pound rig, and we want to make sure you have the knowledge it takes to survive out there in the trucking industry. 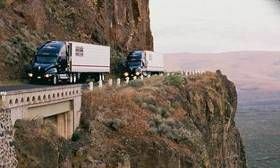 So we've gone beyond the CDL manual and built several sections ourselves full of critical knowledge that will prepare you for a great start to your trucking career. Who Designed This Training Program? 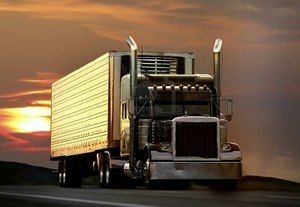 This training program was designed and built with the help of professional drivers, including certified CDL instructors with decades of safe driving experience. These experienced professionals know exactly what it takes to pass the CDL exams and become safe, productive drivers out on the road. Our CDL training program has proven to be so effective that is has gone viral in the trucking community essentially overnight! We are blown away with the positive response to this program, and you're going to be amazed at how well it's put together. Take a couple minutes to browse the features, testimonials, and tips before you sign up and get going! 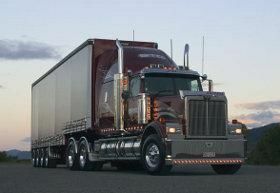 We've built the entire CDL manual right into our training system. But we didn't stop there! We've added several sections of our own to this training program so you'll be prepared for all of the written exams and life on the road. This training system was built by experienced drivers and trainers who know there's a lot more to life on the road than what the CDL manual covers. We've added our own sections covering Logbook Rules and Weight & Balance so you'll be ready to tackle some of the toughest aspects of life in the trucking industry. Repetition is the key to memorizing large amounts of information. By continuously analyzing your scores on each question as you progress through the program, our review system will determine which questions you are having the most trouble with. These high priority questions will be repeated as many times as is necessary to reinforce the correct answers. This system is capable of determining each person's strengths and weaknesses and gives you continued reinforcement where you need it most. When we find that you are beginning to struggle, we temporarily stop giving you new materials and have you review the questions you're having the most trouble with. What would be the point of feeding you new materials if you're having trouble with what we've given you so far? The point is to learn the materials, not just fly through the program as quickly as possible. If you miss a particular question too many times or your overall average drops below 85% we will help you review the areas you're struggling with until we see you're ready to continue on to new materials. The multiple choice quizzes given on each page include questions from the page being loaded and review questions from pages you've already completed. The order of the questions and answers are randomized, and the answers to review questions from previous pages can be lookup up in an instant. The quizzes are designed to work as a tool to help reinforce the information, not simply as a way to test your knowledge. We don't want you guessing at the answers, because guessing isn't learning. In fact, guessing can inhibit learning by reinforcing an incorrect answer. When taking a quiz, the answer to each question can be quickly found in the content of the page, or in the case of review questions, with the click of a link which reveals the answer. This allows you to quickly find the correct answer, reinforces the information, and saves tons of precious time trying when having to look something up. We've designed our training program to be very flexible. You can complete the course materials in any order at your own pace. Simply jump to a different section of the program when you're ready for a change of pace. The optimal experience means being able to work on the materials you're interested in learning at the moment, and working when you feel fresh and ready to take on a challenge. Instead of forcing everyone to work on the same materials at the same pace, our program allows you the flexibility to choose the materials you're working on and set your own schedule. Even our review system and halt mechanism have been designed to adjust to your preferences. You can take the course in any order you like and we'll send the proper review questions from sections you've already completed. If you begin to struggle, we'll halt your progress and force a review of the materials before allowing you to move on. Throught the program you'll find important tips, insights, and suggestions wherever you see the purple question mark ( ) to help you understand the materials better and gain an understanding for how that knowledge will fit into the overall picture. Not all information is created equal. 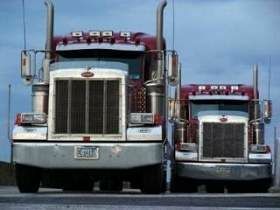 Certain bits of information may be critically important to the safe operation of the vehicle, and some information will almost certainly show up on the CDL exam. We want to go beyond just teaching the information. We want you to understand why this information is so important and how it will affect your CDL testing and your career in the trucking industry. "My own experience with the course itself was nothing short of amazing. To come into the course with absolutely no prior knowledge of the subject, and to be able to grasp the information, understand it, and retain it, has taken quite a bit off stress off me. Now I know that when I do enroll in a school, I can focus on the driving aspects, and not have to worry about the classroom side of things. Being able to study at my own pace and in my own time was extremely helpful to me. Being able to see what areas I was having difficulty with, and being able to spend more time on those sections was so beneficial. The way the information is broken down and presented topic by topic keeps the course from being overwhelming, and the layout of the program itself is condusive to a variety of learning styles." "My experience so far has been fantastic. It is set up in such a way that it learns and adapts to what the student needs to pay closer attention to. If the program notices you need to go over a certain subject again, it will halt you for a review so that you dont continuously get a subject wrong. I love the way it pulls refresher questions from other parts of the course that you have already covered. It reinforces the information needed to not only pass the permit test, but engrains it so it almost becomes second nature. After studying for a week, and taking the practice tests here for the basic info needed to obtain a CDL learners permit, I can consistantly pass the practice tests for General Knowledge, Air Brakes, Combination Vehicles, Doubles and Triples, and Passengers at my State DMV. My lowest score so far is 94%. I feel that anyone who doesn't use this before attending a school or taking their permit test is wasting a valuable asset. Before taking the course, I was lucky if I had gotten anything above 68% by just studying the manual alone. Thanks again Brett. 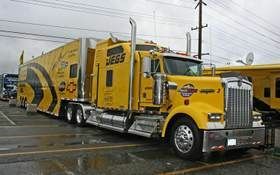 I'm gonna pass this on to anyone who is looking to get their CDL." I just want to say thank you for putting online such a valuable resource. 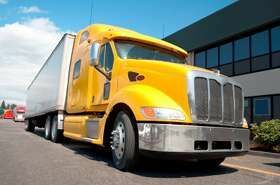 I used your CDL training course to study for my CDL, and when I took my written tests the DMV administrator was amazed as I finished the test faster than anyone she had ever had in her facility, and with the highest scores she had ever seen. 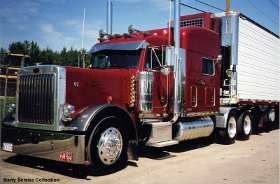 I took all of my endorsements (Hazmat, Doubles - Triples, Tanker, and Air Brakes) all in one sitting and without hesitation I knew all of the answers. Some were tricky and not in the Colorado Manual (which I had also read) however because of the knowledge I had gained from your course I was able to logically figure out the answers. 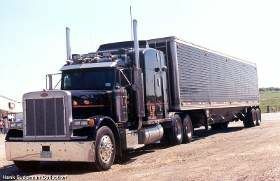 I can honestly say that had I simply read the CDL manual I would have struggled to pass the test at all. I am convinced your course made all the difference. I went in prepared and knew what to expect and how to answer. I wanted to share something that just made me pat myself on the back today... 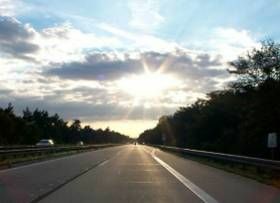 I am currently attending the FFE Driving Academy (Now KLLM). Today was our final written exam for the school, tomorrow we go take the DPS written tests. Once the class tests were graded, our instructor told me that in the more than two years the school had been open and with all the hundreds of students that had gone through the program, I was the third person EVER to get a perfect score on all 5 written exams. Darn right I'm proud of myself, but I didn't do it alone. 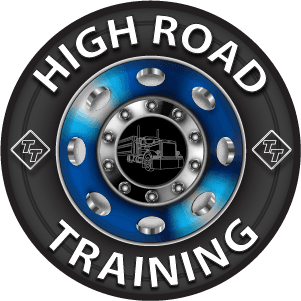 I can't express enough how helpful The High Road Training Program is, and can't thank Brett and TruckingTruth enough for putting it together. "I think that the program is great! I love the way the halt feature works if it feels you're having a lot of trouble or just guessing, and the way the review system reinforces learning by re-introducing material in the form of review questions. Even with the limited amount that I've completed thus far, I feel as if I was much more prepared when I began my schooling, and was amazed by the amount of material covered at school that I already knew just from having done this program here!" 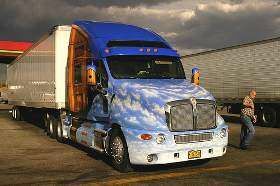 "My stress was easily cut in half by taking TruckingTruth's High Road online CDL course. I've taken many courses online and never have I seen a better product that can produce better results! I have fond memories spending endless hours studying. It was simple, clear, and so well thought out. I have absolutely nothing to criticize. If I were to try and put a price tag on it, $250-450 easily! You and your Team of Truckers, which I can now say I legitimately am one, are the greatest!" "I have taken several courses via computer (Navy, private/instrument pilot exams, and teacher courses) and this incorporates all of the best of each. It is obvious you have spent an incredible amount of time bringing all of this information together. The High Road Training Program will continuously adjust to your strengths and weaknesses as you work your way through. Each page of the program has its own set of questions. Along with those questions you'll see a mix of review questions from pages you've already completed. These review questions were not selected at random. We track your scores throughout the program and choose the questions you're struggling with the most, and those are the ones you'll be reviewing. For instance...say you're ready to begin page 10. Before page 10 loads we calculate your scores on every question you've done so far, including all review questions, and decide which questions you need the most help with right now. Those high priority questions from the previous 9 pages will be loaded along with the questions from page 10. So you don't have to keep track of what you're learning well and what you need help with - we're already doing that for you. Just work your way straight through the program and focus on getting every single question correct. We'll feed you the review questions you need the most help with throughout the program. Do Not Guess At The Answers - Look Them Up! Consider the quizzes at the end of each page to be a learning tool as opposed to a way of testing your knowledge. Repetition is the key to learning a large amount of materials, and the quizzes will help reinforce the correct information time and time again. Keep in mind that your goal is to learn the materials, and guessing is not learning. In fact, guessing wrong will reinforce the incorrect answer, requiring extra repetitions of the correct answer to force the incorrect answer out of your mind. So when taking the quizzes, please look up the correct answers and shoot for a perfect score on every quiz. With every review question you will see a link that will say "This is a review question. Click here to look up the answer". Please do it! Do not guess at the answers. We've put that link there so you can quickly and easily look up the answer. We want you to look it up. It's not a weakness or a failure on your part to have to look up the answer - that's a victory! Getting a question wrong is the only failure. So shoot for a perfect score on each quiz by looking up the correct answers each and every time. You'll learn the materials better and get through the program more quickly. We've found a way to teach you the entire CDL manual faster and easier than you thought possible. 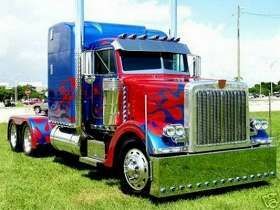 By breaking it down into small sections and reviewing the questions several times you'll be well prepared for your CDL exams! Adding or burning off fuel will mainly change the amount of weight on which axles? 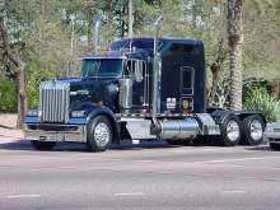 Most of the weight of the fuel will go on your steer axle. The percentage of weight distributed between your steer and drive axles with regard to fuel will depend on the placement of your fuel tanks. What is the advantage to moving right instead of left when an oncoming vehicle veers into your lane? If an oncoming driver has drifted into your lane, a move to your right is best. If that driver realizes what has happened, the natural response will be to return to his/her own lane. 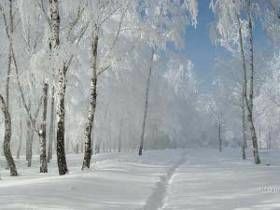 If something is blocking your path, the best direction to steer will depend on the situation. If you have been using your mirrors, you will know which lane is empty and can be safely used. If the shoulder is clear, going right may be best. No one is likely to be driving on the shoulder, but someone may be passing you on the left. You will know if you have been using your mirrors. If you are blocked on both sides, a move to the right may be best. At least you will not force anyone into an opposing traffic lane and a possible head-on collision. Load bell pipe on one tier so that the bells alternate on opposite sides of the vehicle. If the ends cannot be staggered, they must be aligned. Load bell pipe on one tier so that the bells all lie on one side of the vehicle. If possible, the ends of consecutive pipe must be staggered within the allowable width. Most newer heavy-duty vehicles use dual air brake systems for safety. A dual air brake system has two separate air brake systems that use a single set of brake controls. Each system has its own air tanks, hoses, lines, etc. One system typically operates the regular brakes on the rear axle or axles. The other system operates the regular brakes on the front axle and possibly one rear axle. Both systems supply air to the trailer if there is one. The first system is called the "primary" system. The other is called the "secondary" system. Controlled braking: With this method, you apply the brakes as hard as you can without locking the wheels. Keep steering wheel movements very small while doing this. If you need to make larger steering adjustments or if the wheels lock, release the brakes. Reapply the brakes as soon as you can. Normal Stops: To apply the air brakes during normal stops, push the brake pedal down. Control the pressure so the vehicle comes to a smooth, safe stop. If you have a manual transmission, do not push the clutch in until the engine RPM is down close to idle. When stopped, select a starting gear. Emergency Stops: If somebody suddenly pulls out in front of you, your natural response is to hit the brakes. This is a good response if there is enough distance to stop and you use the brakes correctly. Stab Braking Use only on vehicles without anti-lock systems. Apply the brake all the way. Release the brakes when the wheels lock up. What is the primary goal of implementing the Bridge Formula? To prevent putting too much weight on a relatively small area, causing damage to road surface and bridge structure. The idea (of implementing the bridge formula) was to prevent putting too much weight on a relatively small area, causing damage to road surface and bridge structure. A bridge is designed to handle a certain number of pounds per square inch on the surface. By creating the Bridge Formula, Congress made sure that too much weight wasn't concentrated on a small area of a bridge, causing damage to the bridge structure. What is a rub rail? A structure, device, or another substantial article placed against or around an article to prevent horizontal movement of the article. The load carrying area of a truck, trailer, or intermodal container. A rail along the side of a vehicle that protects the side of the vehicle from impacts. Part of the structure, fitting, or attachment on a vehicle or cargo to which a tiedown is attached. Which of the following do not have to be checked during the pre-trip inspection exam? Note: Checks of brake turn signal and 4-way flasher functions must be done separately. While it may get a bit repetitive, during the pre-trip exam you need to point out and identify every light and reflector on both the truck and the trailer. Make sure all lights and reflectors are functioning properly, are clearly visible, properly mounted and secured, and not cracked or broken. 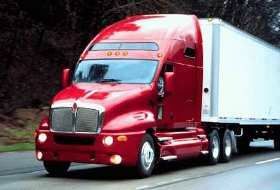 Who Is Required To Get A CDL?